Last January, I was travelling in the European east. The main purpose of this trip was to finish my post-doctorate research about "Advergames: games as marketing tools" that I developed with Paneurópska vysoká škola at Bratislava (Slovakia). I presented the results and it was great (one more trophy achieved on the academic game). After some days in Bratislava, I travelled to Kiev (Ukraine) and then to Krakow (Poland). In the last part of this trip, in Poland, I visited one awesome gaming studio named Moonlit. Knowing that the Polish land is a great market for games, I sent some e-mails trying to contact people from the local industry to share some ideas and discover new points of view. 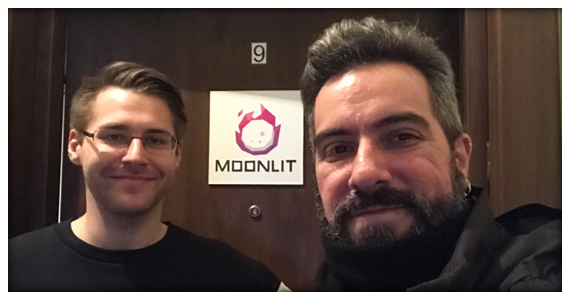 I talked to Mateusz Wanatowicz, PR and marketing specialist in Moonlit Games. Below, I surmised our conversation, sharing highlights of the polish gaming industry, Moonlit projects and an overview of polish gaming market. 1.Why do we need to pay attention to the Polish gaming market? Well, it's one very important market in the central Europe. 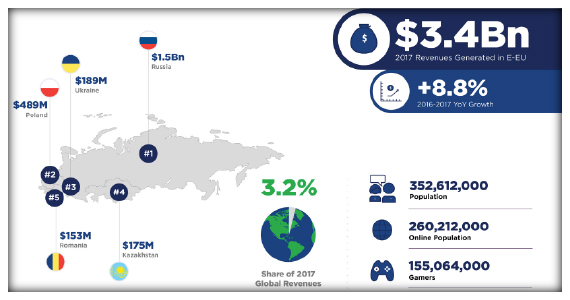 According to the last Newzoo gaming research, the country (with a population of 34 million people) has profited around 500 million dollars with gaming products. 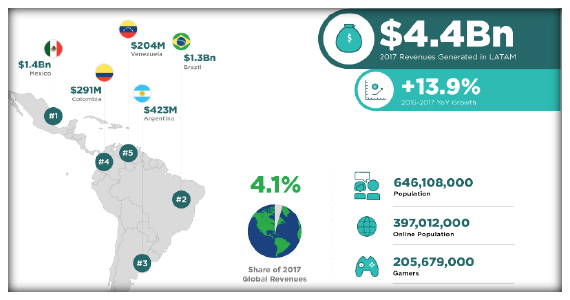 In comparison to Brazil - a country with 210 million people and a profit of 1.3 billion dollars in the gaming market - it's a very interesting emergent market to pay attention to. Moonlit is a gaming studio and a software house. 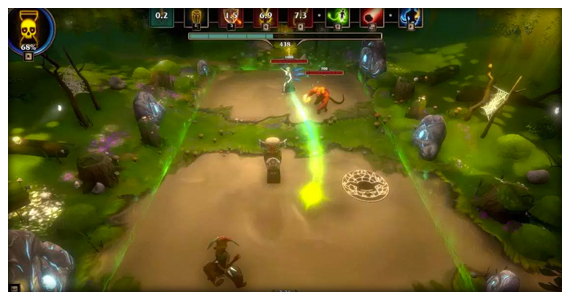 In 2018, the company started to produce two authorial projects: Playerless - an arcade game where you need to fix bugs and the NPCs to run it correctly (PC); and Ignis - a battle arena game with wizards, sorcery and combats (PC and Xbox). 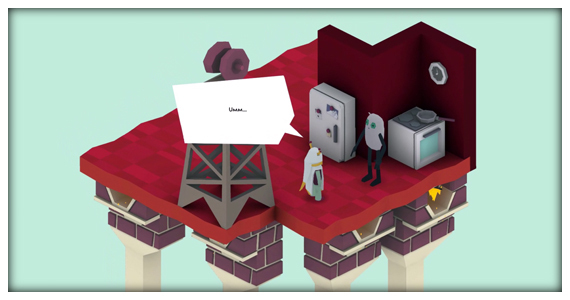 Below, you can check some trailers and contents from both games. It is a promising industry as we saw in the first topic. According to Wanatowicz, the government of Poland sees this industry as a profitable area to invest money in and an entry door for many startups and small initiatives for new business. Wanatowicz highlighted that big events, games jams and young talents are receiving support from the government; and, another important point: careers in gaming area (coding, game designing, 3D art etc.) are also prominent in the academic area. Another important thing to mention is the fact that the games from the series "The Witcher" were a way to present the Polish gaming industry to the whole world. It is important to say that board games and card games have a main role in this context too. Local production of analogic games is growing year by year. Wanatowicz also said that Polish gamers, in a general way, support the local industry and they are proud of the national industry and gaming production. Mateusz Wanatowicz emphasizes that part of the success of a gaming industry is about how government, gamer community, studios/companies and universities can join powers to create a fertile ecosystem for different kinds of projects. Big initiatives as "The Witcher" series are fundamental, but supporting indie studios, small startups, events and clear marketing rules are also a key for a good gaming market. Note: check Moonlit works in the official site and social media by clicking in the links!